That was one of the key takeaways from a presentation at the Automotive Aftermarket Suppliers Association’s (AASA) 2019 Vision Conference in Dearborn, Michigan. Bill Long, the newly minted president and CEO of the Motor & Equipment Manufacturers Association (MEMA), called data access “the top must-win issue” for the automotive aftermarket. 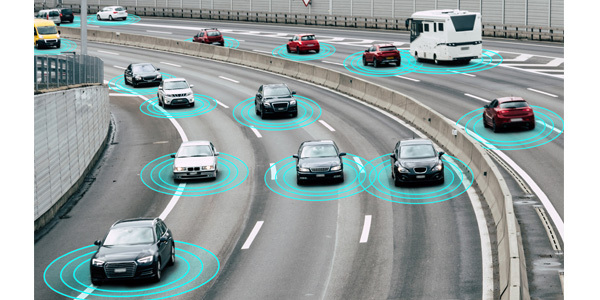 In late 2018, the Auto Care Association and CARE introduced legislation in Massachusetts that would require automakers to create a standardized “open-access platform” for telematics data in vehicles, and, starting with the 2022 model year, allow vehicle owners and leasees to access that data with a mobile device. The bill also would require the state attorney general to notify consumers that they have the right to allow independent repairers to access telematics data for the repair of their vehicles. 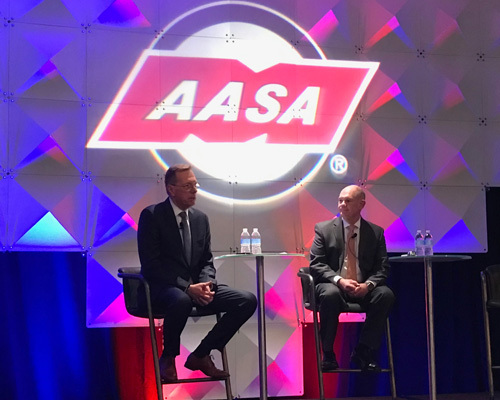 Bill Long, president and CEO of the Motor & Equipment Manufacturers Association (left), and Bill Hanvey, president and CEO of the Auto Care Association, discuss the path to achieving “freedom of choice” at the 2019 AASA Vision Conference in Dearborn, Michigan.